Terminal velocity sounds so very scientific, doesn’t it? 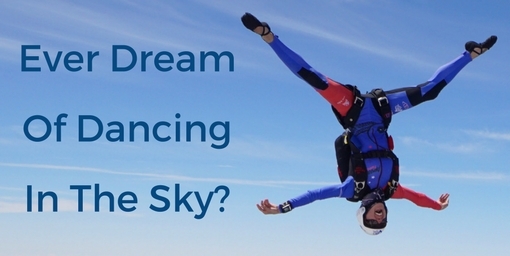 For skydivers however, it’s a crucial piece of physics knowledge to store away in the brain. Wanna join the ranks of the enlightened? Then let your nerdy hearts rejoice, and let’s explore the exhilarating world of gravity and speed via terminal velocity skydiving! What exactly does terminal velocity mean? Terminal velocity is the highest speed possible at which an object moves through a medium (like air or fluid). Back when you were in high school this may have been demonstrated by dropping a ball bearing into oil, or stacking coffee filters and dropping them down a wall from a height of nine feet or so. What you found is that terminal velocity is a constant speed that is reached when the force of gravity is balanced by the resistance of the medium that the object is falling through. Simply put – this is the point at which there can be no further acceleration. So how does terminal velocity relate to skydiving? In skydiving, when we exit an aircraft, our bodies accelerate – but only up until the point at which air resistance equals the force of gravity. So in short – terminal velocity in skydiving is the downward speed achievable by the human body in free fall. A few factors affect just what terminal velocity will be, and one of these is orientation/presented surface area. Typical considerations of terminal velocity in skydiving assume that the skydiver is falling in the belly-to-earth position, or is practicing a type of skydiving we call Relative Work (or RW). However, there are many different orientations the body can assume. These positions result in various amounts of air resistance and, ultimately, in vastly different terminal velocities. While the terminal velocity of a jumper falling belly-to-earth is about 120mph, in an orientation where the skydvier is flying head down towards the earth, terminal velocity increases to 150-180mph and can even reach 200mph! As a fun comparison: a peregrine falcon can clock in at 242mph during hunting, making it unequivocally the fastest member of the animal kingdom (so don’t even think about racing that bird). What about terminal velocity with an open parachute? The mass of the jumper and the size of the parachute regulate the terminal velocity that is reached while under canopy. Consider though … the canopies used in modern civilian skydiving are nothing like the flimsy plastic domes our tiny toy parachutist friends from childhood lead us to believe! Canopies now are square (well sort of) and contemporary parachutes are constructed with RAM-air airfoils. These airfoils pressurize and convert downward speed into forward momentum. In a discipline called “swooping”, by initiating advanced maneuvers and utilizing steep turns, the downward speed of the canopy pilot is translated into incredible forward speeds and distances covered. Makes sense? 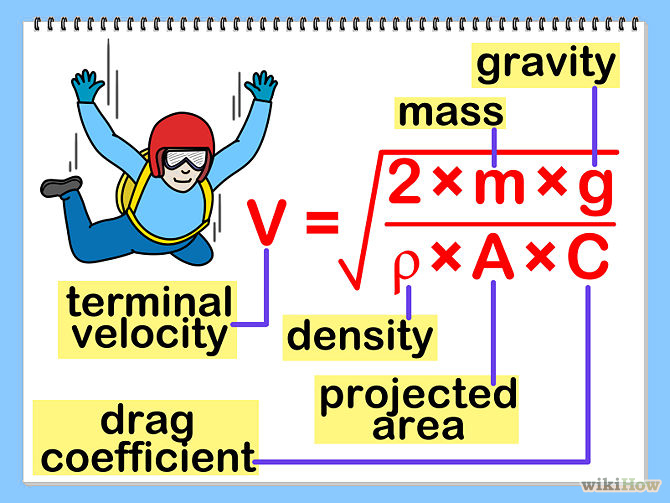 Hopefully, we’ve helped you to learn a little bit about terminal velocity in skydiving. But if this commentary didn’t do the trick for you, or you’re just more of a hands-on learner, by all means… join us at the Skydive Paraclete XP dropzone to experience the real world application of terminal velocity and book your tandem skydive today!